What does leadership for a global future look like? What types of leaders do and will support 'flat' or connected learning that includes local as well as global experiences and collaborations? In a recent online presentation for the TICAL Leadership Summit, I talked about my vision for leadership in a future that is global. Let me share some of these thoughts here. In many respects this is not a post that has all of the answers - but it does ask many of the questions, and shares these with the encouragement that you, the reader, also ask these questions across your school and with your school administration. The future of learning is global and 'flat', or you may prefer to think of it as 'connected'. The future of learning is now! We use technology to flatten the classroom walls to bring the outside world in and to open the classroom to the world. 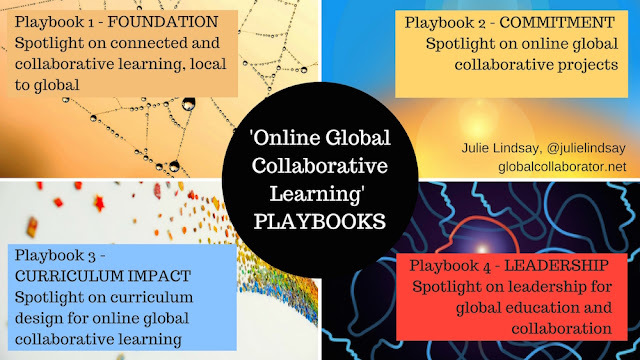 Opportunities for discovery, engagement, and more importantly collaboration and co-creation with others not in the same physical space now connects learners across the world and impacts the context in which they learn. 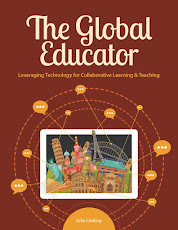 An essential recipe to flatten the classroom and go global includes connected learning, citizenship (digital) with a splash of global competency and collaboration (but must include co-creation). What is the essential recipe for school leadership to support this? The ISTE NETS standards for both school administrators and for technology coaches are a good starting point here, especially with 'Visionary Leadership' as their first standard. Words such as '..inspire and lead development and implementation of a shared vision...' and '....support transformation throughout the organization...' in conjunction with being advocates at all levels for appropriate funding and support. Carefully chosen, powerful words - but how do we make sense of this, and how does this relate to the synergies and relationships within a school or learning community? The NETS.A standards also list Digital Citizenship where leaders should 'model and facilitate understanding of social, ethical and legal issues and responsibilities related to an evolving digital culture', indicating a need for leaders today to have more than an understanding of digital tools but be able to lead and model for effect as well. Given learning communities come to a shared vision of what it is they want to be, and where they want to go, how is this vision then implemented? How do we allow students and teachers to find their own voice and take charge of their own learning? 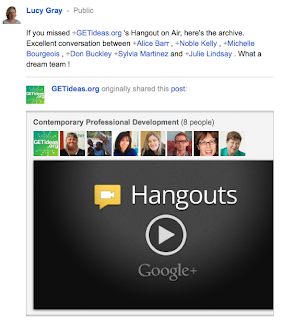 How do we promote a culture of sharing and learning? Do leaders have the courage to do this? Is change considered a normal process? Are leaders and schools seduced by the mission of technology and ignore/avoid the deeper learning opportunities? It is time for a new paradigm for educational leadership. Online learning communities are now leveling the playing field to advantage learners. Leadership therefore must address school revitalization in a digital world, teachers as providers of new forms of leadership in schools and communities, and support for the 'teacherpreneur' needs to emerge. 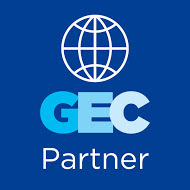 A teacherpreneur is, 'A teacher who sees an opportunity to make a profitable learning experience for students through the forging of partnerships with other classrooms with common curricular goals and expectations', and 'The teacherpreneur accepts the responsibility and risks for the endeavor and is accountable for the outcome.' 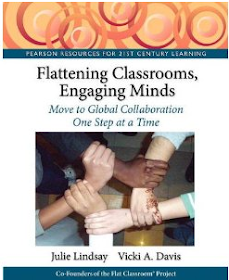 (Flattening Classrooms, Engaging Minds, pg 44). Teacherpreneurs blaze new trails using emerging technologies and connection and collaboration strategies. A teacherpreneur is a champion for change and a realizer of the vision, knows how to use social media and new publication methods to network and share, is a researcher, a networker, an online community builder, innovates from within, and models pedagogical excellence. They have the ability and in fact do exercise new and dynamic leadership in schools, thereby enhancing the possibility of social reform. Leadership by school teacherpreneurs can be described as a 3-step process: 1) The teacher gets an idea for learning, 2) Excitement is fostered amongst other teachers, 3) A group of teachers then come together to do something significant (and probably new) - this can be local and/or global in concept and implementation. School leaders can foster the teacherpreneur leader by encouraging customization of learning experiences to local standards while being flexible to embrace the world; supporting innovation and encouraging pedagogical excellence; encouraging an agile curriculum; equipping teachers to investigate new global relationships and design solutions. The school leader needs to act as an enabler of teacher leadership and know when to step back. They need to make space for individual innovation and build on achievements to create a culture of success. The model of Parallel Leadership (A form of distributed leadership researched by Frank Crowther - Developing Teacher Leaders, 2009) is seen as effective in terms of broadening responsibility within a learning community, promoting teacherpreneurship and encouraging diversity. It is also a leadership style that will effectively allow a learning community to look for new pedagogical models to support flat learning in a local and global context. Parallel leadership has three distinctive qualities: mutual trust; shared purpose; and allowance for individual expression. I encourage you to explore this real life example of enlightened and distributed school leadership by Showk Badat, Principal at Essa Academy, UK. In summary, in order to implement a pedagogy that provides 'flat' connected learning, sustained global experiences, and rich learning outcomes for all stakeholders, we need a certain approach to leadership in education. We need leaders who understand the advantages of connectivism in a global context, who understand how to harness the technology and who understand how to support teacherpreneurs to achieve this. 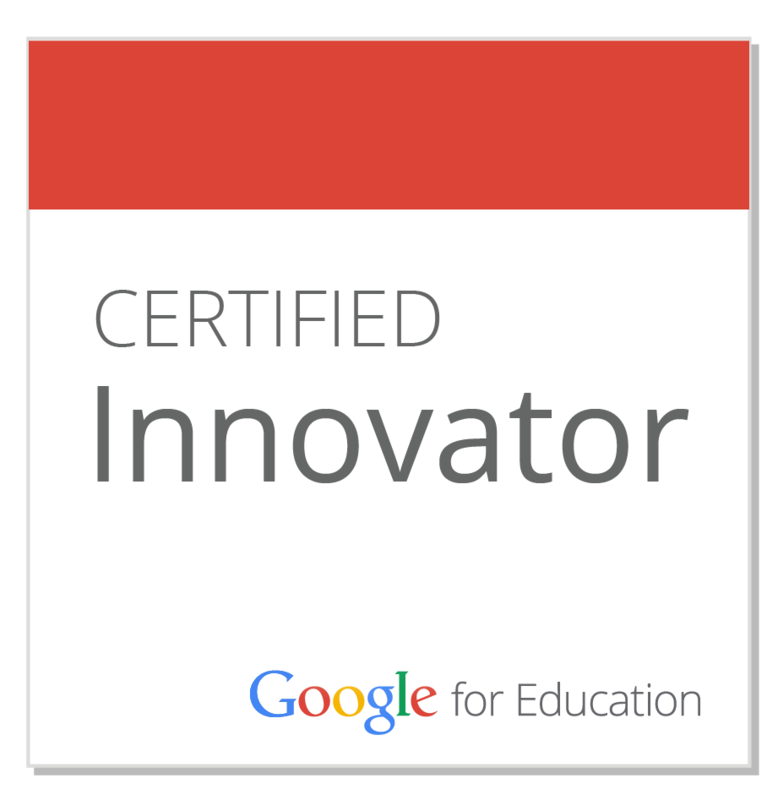 Julie is an enthusiastic, global educator, leader and innovator. 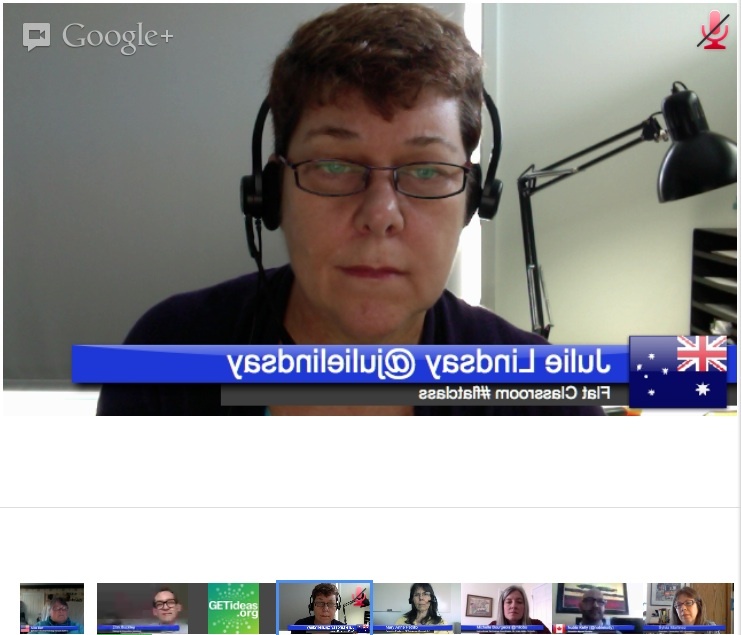 Originally from Melbourne, Australia, for the past 15 years she also taught and led the use of technology in schools in Zambia, Kuwait, Bangladesh, Qatar, and China. She is now based in Australia as a consultant, presenter and workshop leader and is currently Director of Learning Confluence, Director and co-founder of Flat Classroom® and Global Collaboration Consultant for THINK Global School. Julie is co-creator of many award winning international wiki-centric projects, including the Flat Classroom® Project. She is also co-founder of the Flat Classroom Conference and Live Events Inc. a non-profit group that facilitates live events for students and educators globally, and co-author of Flattening Classrooms, Engaging Minds: Move to Global Collaboration One Step at a Time, Pearson 2012.